The winners for 2015 residency were officially announced at the National Liberal Club, London on 19th November in front of a crowd of former Writers in Residence, agents and publishers. Jessie Burton, Sarah Butler, Pascale Petit, Wendy Cope and Lachlan Mackinnon, Salley Vickers, Robyn Cadwallader and Rachel Holmes have all been appointed for the programme's fourth year, and will spend their residency in Hawarden , North Wales. 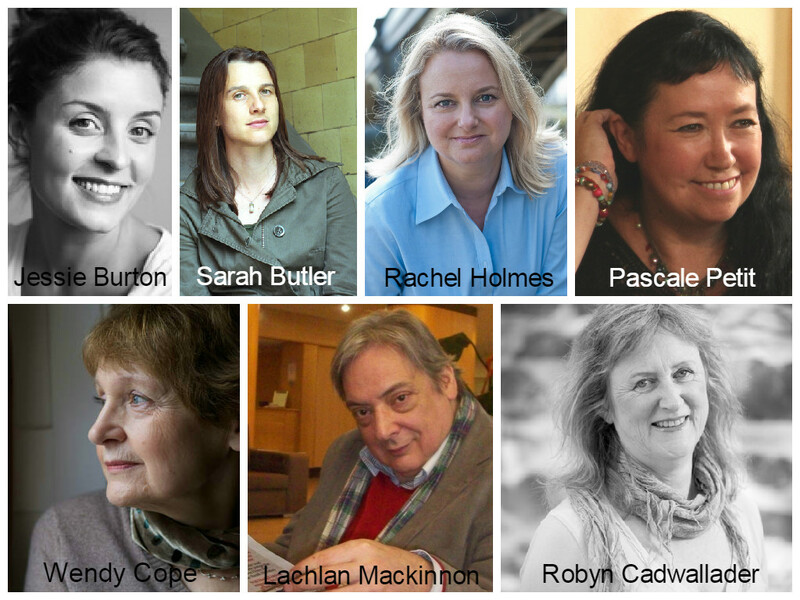 Over the course of 2015 each Writer in Residence will blog about their stay, run creative writing workshops, and host an 'Evening With' event (each event can be found on our Events & Courses List). They each receive full board and lodging, travel expenses, and an honorarium of £100 per week. This year's judges were author Sarah Waters (The Paying Guests), poet and former Writer in Residence Katrina Naomi (The Girl with the Cactus Handshake), poet and author Vanessa Gebbie (The Coward's Tale), and Freddie Baveystock. "For the fourth year running we have another wonderful selection of authors and poets residing with us here at Gladstone's Library," said Warden Peter Francis. "We were so impressed by the quality and range of the writers that we appointed eight this year, meaning that for seven months of 2015 there will be a writer residing at the Library. "Jessie Burton and Sarah Butler will be the first to join us in February 2015", he added. "For the first time in its four year history the Writers in Residence programme has secured a sponsor. A generous individual, who was aware of the struggle that writers have to find time, space and money to write, thought that supporting our scheme was a good practical way of helping. All of us at the Library, and no doubt our future writers, are greatly in her debt and are truly appreciative of her support." Jessie Burton’s debut novel, The Miniaturist, was published in July 2014 and spent over two months in the Sunday Times Top Ten. Her road to publication spans 6 years, starts with one rejected manuscript, contains 17 drafts, and ends up with a book now sold in 32 languages. A Gladstone’s Library Writer in Residence for 2015, Sarah Butler is a novelist, with an accompanying practice in socially-engaged, place-specific writing. Sarah describes herself as being interested in the relationships between stories, places and communities. Her writing explores the themes of identity, belonging, landscape and home, particularly in an urban context. Sarah’s first novel, Ten Things I’ve Learnt About Love, was published by Picador in 2012 and in fifteen other countries as well. Her next novel, Before The Fire, will be published in 2015. "I loved my time at Gladstone’s Library. It is a genuine and precious gift to offer a writer time in such a beautiful, peaceful place to focus on their work and nothing else. And the endless supply of scones and chocolate puddings helped too!" Rachel Holmes is the author of Eleanor Marx: A Life, serialised on BBC Radio 4 Book of the Week and rated one of the best reads of 2014 by The Telegraph. Holmes is also the author of The Hottentot Venus: The life and death of Saartjie Baartman and The Secret Life of Dr James Barry. In 2013 Holmes co-edited, with Lisa Appignanesi and Susie Orbach, their much-discussed Fifty Shades of Feminism, She was co-commissioning editor of Sixty Six Books: 21st Century Writers Speak to the King James Bible (Oberon, 2011) with Josie Rourke and Chris Haydon. In 2010 she received an Arts Council cultural leadership award as one of Britain’s Fifty Women to Watch. Pascale Petit is a French/Welsh poet living in London. Her latest collection Fauverie was shortlisted for the TS Eliot Prize. A portfolio of poems from the book won the 2013 Manchester Poetry Prize and the manuscript won an Arts Council England award. Her fifth collection What the Water Gave Me: Poems after Frida Kahlo was shortlisted for the TS Eliot Prize and Wales Book of the Year. Her two previous books, The Zoo Father and The Huntress, were also shortlisted for the TS Eliot Prize. Pascale’s books have been books of the year in the TLS, Independent and Observer. "I took from the residency a very warm feeling that every moment I was there I was supposed to be working on my book, and shouldn’t do anything else. I had a beautiful room I could hide away in and write; I had a beautiful desk in the library, earmarked as my own for the month, where I could write, though it was more like a world I created between the bookshelves; I had spots in the garden and abutting cemetery where I sat each morning very early, in mist or sun, scribbling then walking down the steep paths; there were grounds nearby where I could go for longer walks to clear my head if needed, where I felt safe; there were comfy settees, a fire, company and wine in the evenings if I wanted. The retreat made me feel safe and supported exploring difficult material, and I came away with a crucial part of Mama Amazonica written." Click here to read a Q&A with Pascale about her residency. Wendy Cope read history at Oxford University and taught in London primary schools for fifteen years. She has been a freelance writer since 1986, when her first book of poems, Making Cocoa for Kingsley Amis, was published. Her fourth and most recent collection of poems, Family Values, appeared in April 2011. She has also written for children and edited several anthologies. Her work has won awards on both sides of the Atlantic. In 2010 she was appointed OBE in the Queen’s birthday honours list and she is a Fellow of the Royal Society of Literature. "Gladstone's Library is a great place to work and an enjoyable place to stay. The library is beautiful. I liked the combination of peace and quiet in the daytime and good company at mealtimes and in the evenings (although you don't have to be sociable if you don't want to). And, of course, it's a luxury to have all your meals provided and no domestic chores. My only concern about the residency was having to do a workshop but that turned out to be painless. It might be worth adding that the library, unlike Hawthornden Castle, is within easy walking distance of shops and a pub. And there is Wi-Fi." Lachlan Mackinnon has published four collections of poetry, two critical books and a biography. Small Hours (2010) was shortlisted for the Forward prize, and in 2011 he received a Cholmondeley Award. He reviews regularly in the national press and taught at Winchester College for 30 years. "It doesn’t matter who you are, how shy or unconfident, you will find a warm and unintrusive welcome here. You will also meet a variety of people, younger and older, united in their belief in reading, writing and thinking. And some very good food. You will find all the advantages of institutional living without its feeling like an institution—an amazing achievement by everyone there." Robyn’s novel The Anchoress won the Varuna LitLink NSW Byron Bay Unpublished Manuscript Award in 2010. A ‘slightly revised incarnation’ is due to be published in 2015. Her book of poetry i painted unafraid won the Friendly Street Poets Single Poet Competition. A short play Artemisia, about Artemisia Gentileschi, has been performed at Adelaide Fringe and at the Sydney and Melbourne Short+Sweet Festival.